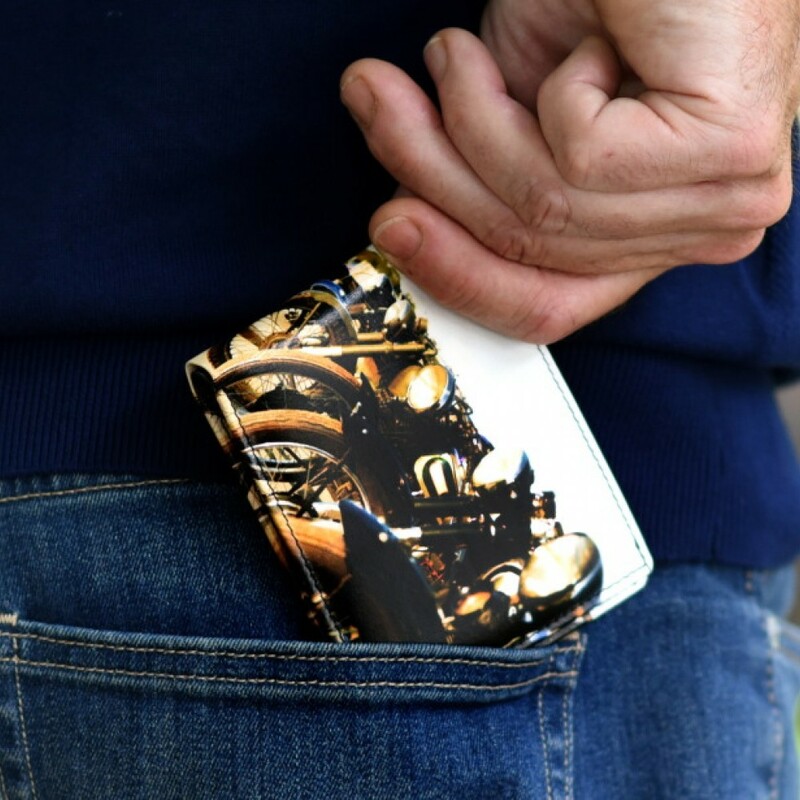 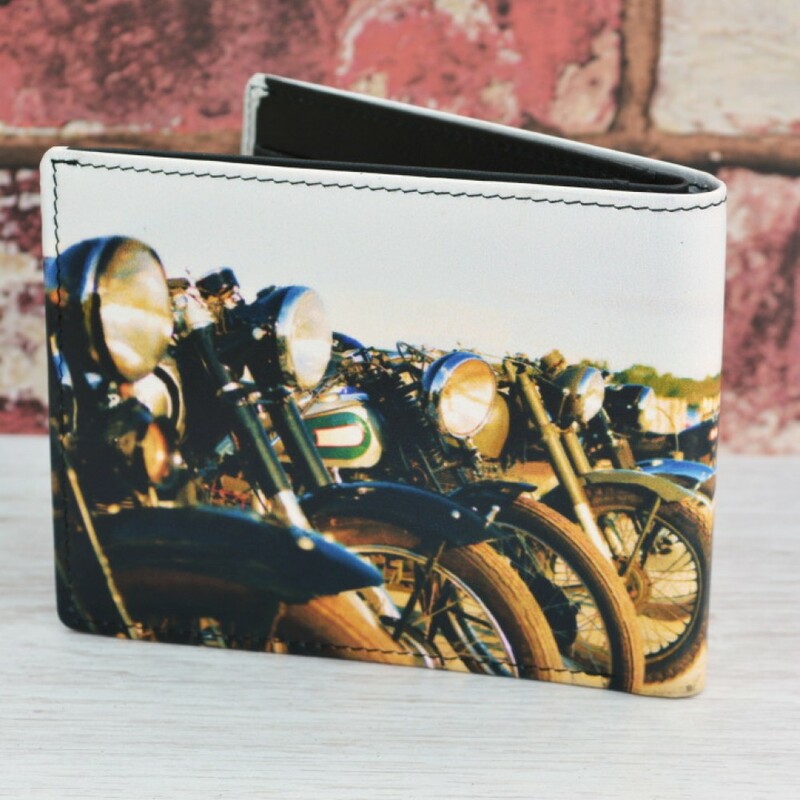 A striking leather wallet featuring a printed image of classic motorbikes on the outer cover. 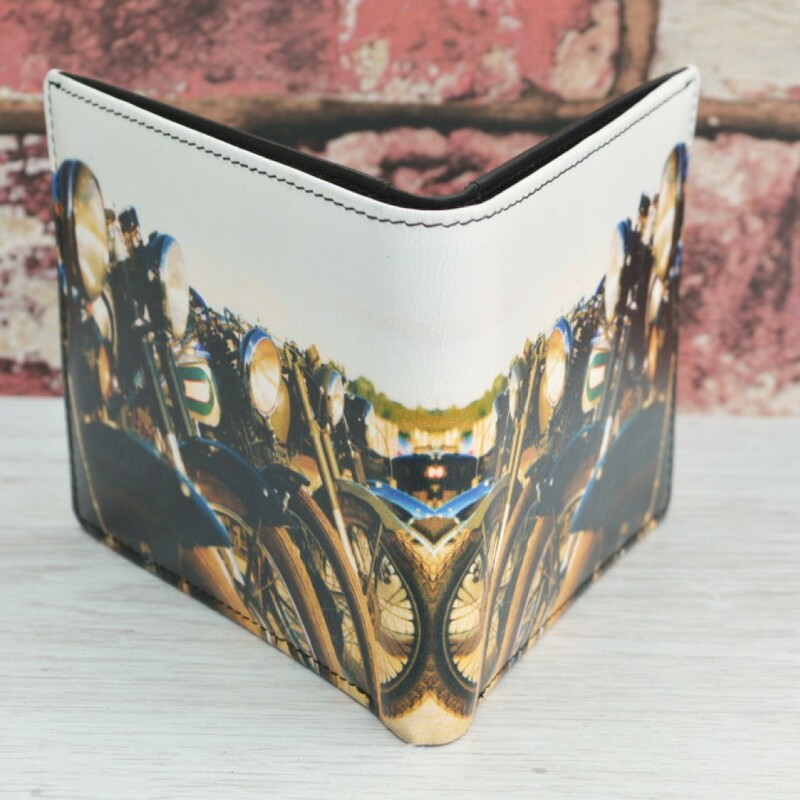 Stand out from the crowd with this lovely leather bi-fold wallet embellished with the image of classic motorbikes. 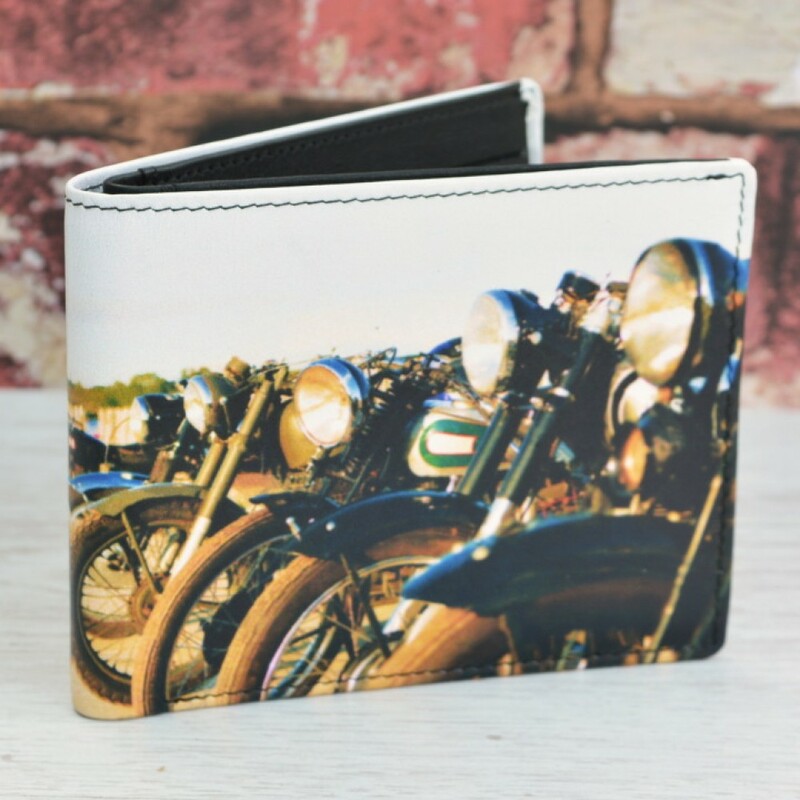 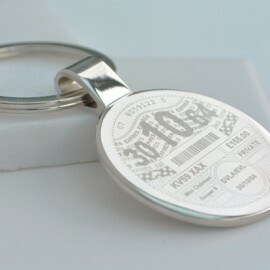 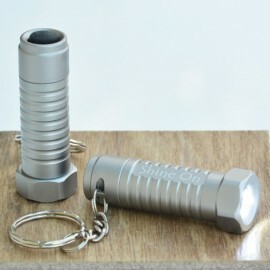 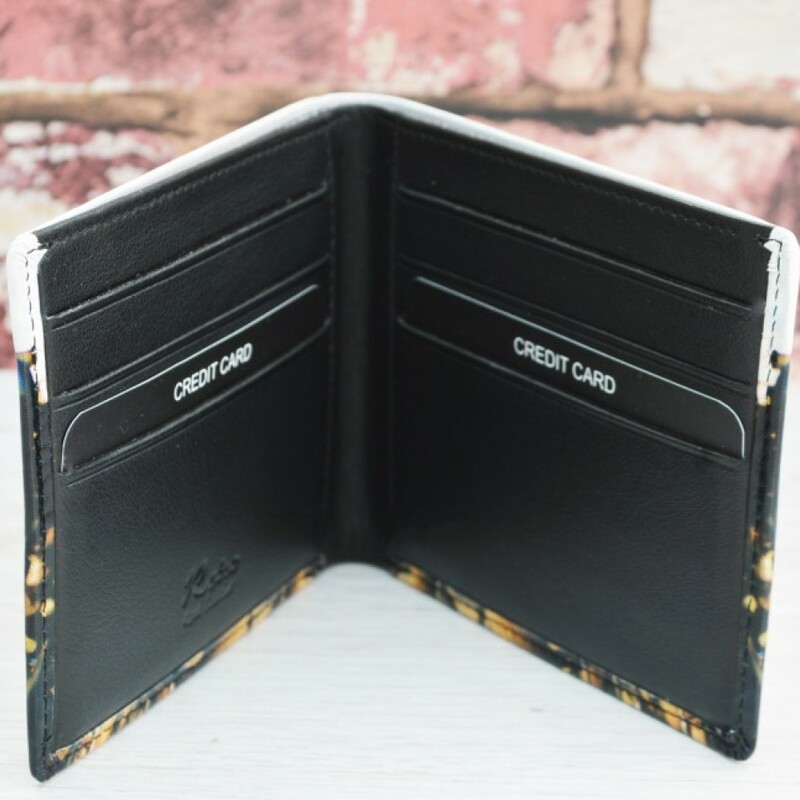 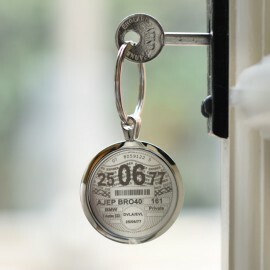 The same image appears on the front and back of the wallet, but are joined to create a complete printed effect.